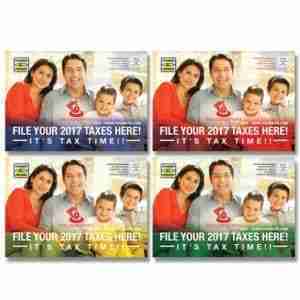 PLEASE NOTE: All templates are updated every tax year and are customizable to your brand. 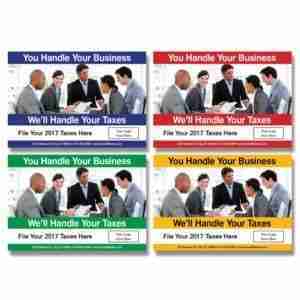 Tax and Accounting businesses require different styles and outlooks, that is why we provide an outstanding selection of Tax Postcard Templates to fulfill the wants of our Tax and Accounting Professionals. 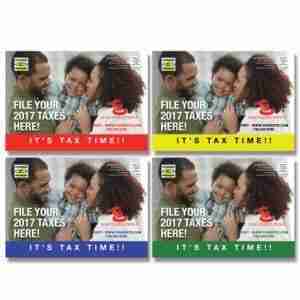 At Tax Marketing Services, we take printing your tax business postcards seriously, utilizing the highest quality 14pt or 16pt card stock, UV coating and full-color printing on both sides. We also print postcards with the industry’s fastest turn-around time with our 24-48 hour completion of the printing of most postcard printing jobs. Make us your postcard printer of choice. There’s nothing that we are unable to do to make your postcards marketing needs a breeze. Choose between the foremost standard postcard sizes, together with 4″x6″, 5″x7″, 6″x9″ and 8.5″x5.5“. All of our postcards have 4 standard colors to choose from, and if you do not see what you like our design team will be more than happy to create a custom piece fit to your company’s brand. 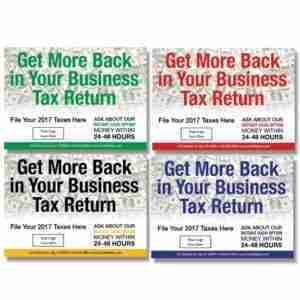 If you are making an attempt to grow your tax service business thru networking and quality leave behinds, smaller-sized postcards supply the foremost bang for your buck. 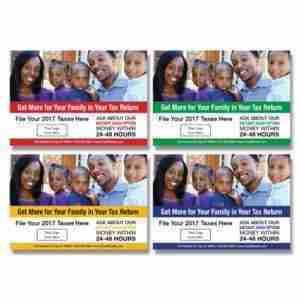 However, If you are looking to target your clients with Direct Mailers, larger postcards make it easier. 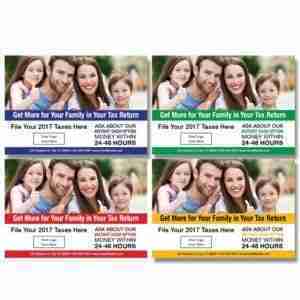 With the USPS EveryDoorDirectMail Service, targeting customers in your surrounding area for as low as .22 cents per household. 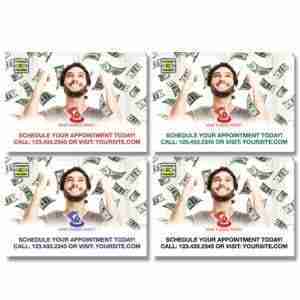 Marketing Postcards are great for letting current clients know what is new with your services. 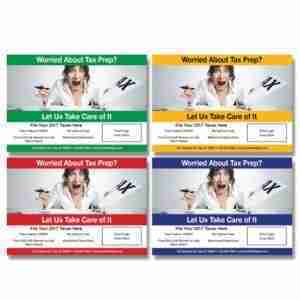 Tax Marketing Postcards can provide new clients with promotions, specials and appointment reminders. 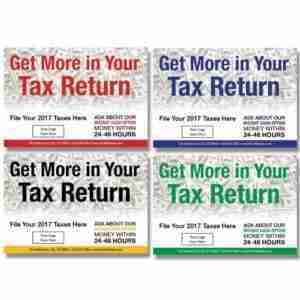 With Tax Marketing Services tax templates you can create your own short, meaningful headline(or use one of our proven taglines), which allows readers to understand how your service will benefit them versus your competitors. 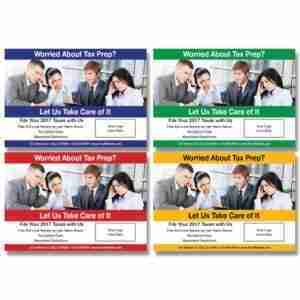 Make sure your message is simple because you do not want your tax clients to feel overwhelmed with a lot of information.